I’ll be at The West Hollywood Book Fair October 2! Posted on September 25, 2011 by D.J. Hi, internets! 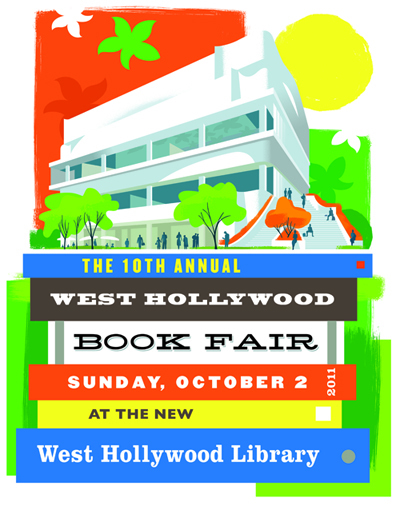 If you look at this site and live in the LA area, please check out the West Hollywood Book Fair next Sunday, Oct. 2! Some snazzy comic editors and yours truly will be taking part in a panel at the Comics, Graphic Novels & More Pavilion at 12:15 PM, which will be followed by a signing at The Comic Bug Booth! As the graphic novel has grown in popularity, so too has the graphic novel anthology. 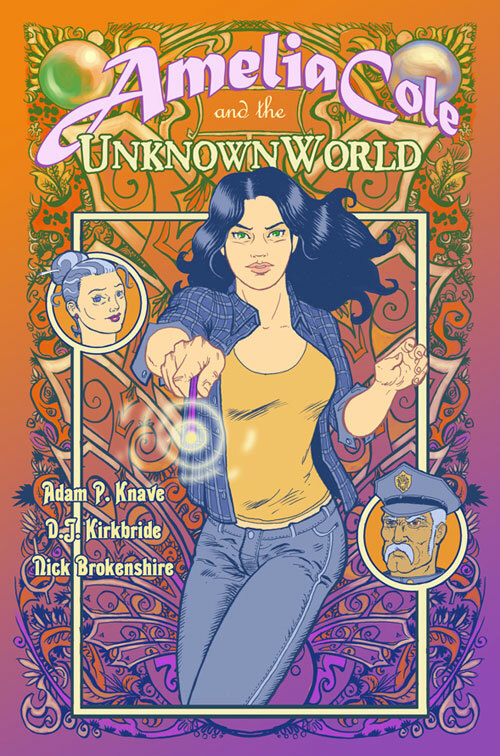 Are these story collections an attempt to keep short fiction relevant in long-form comics? Are they born from a desire to explore a theme from many points of view? Or are anthologies simply a way of compiling some of the best work in comics into one diverse book? Join some of the writers, artists and editors responsible for five of the most highly acclaimed graphic novel anthologies as we discuss how bigger can be better, what makes a great collection and how the anthology format benefits creators. Posted on September 14, 2011 by D.J. Sometimes people leave little treats in the office kitchens. This morning I saw a box of interesting cake with “Please Eat Me” written on the box in Sharpie, and just now, hours later, there was three-fourths of a loaf of banana bread in another kitchen, just sitting there with a plastic knife by it, ready for me to take a slice. And eat it. With my mouth. Chewing it up. Getting all the flavors. Swallowing it down into mah belly. It’s not always baked goods or pastries randomly in these kitchens, either. Sometimes there are whole meals, various fruits — all sorts of food. And I’m tempted. I’m always tempted, but… where did this food come from? Who put it there and, just as importantly, why? Not eating is no problem of mine. I tend to eat most of what is offered to me, and, even if slightly worried in my paranoid brain, I often do partake in the random foods left in kitchens. I then also often run down the hall like the work crier, letting everyone know of the free delights, far more excited than my mostly better-paid coworkers about free scraps of food, but my excitement is such that no silly sense of pride is going to waver me from at least attempting to spread what little joy I occasionally feel. Be that as it may, there is always a pause. It’s not just mysterious work foods. I feel this way sometimes at pot lucks. Even as a kid at church, with all these great roasts and hams and seventeen varieties of macaroni salad… I’d look around and wonder who made what. It was usually fine, but there were some folks that, to be honest, scared me. That shouldn’t be past tense. Some folks scare me, either because of the potential for inasanity we all have (me included — me ESPECIALLY), but also just general hygiene concerns and whatnot. Screw it. That piece of pie looks mighty yummy, and it’s cheaper than going out for lunch. Posted on September 10, 2011 by D.J. Wow. So, it’s 6:43 PM, and I have done nothing today. No work, anyway. I tweeted some goofy nonsense, read a few comics, and got a couple of slices of pizza with my ladyfriend for lunch. That’s about it. And it makes me feel all kinds of antsy, which is a shame. It’s good to relax, and I always tell the many workaholics I know that, but when I follow my own advice, it’s weirdly stressful. I feel guilty for just hanging out. It’s silly and probably adds to the gray hairs on my head. What could I have done instead of taking a weirdly stressful nap today? I could’ve written some stuff. Maybe cleaned the apartment. Heck, taking a jog could have been on the list. Part of me feels like I’ve squandered my time, but that’s absurd… right? We all need lazy days once in a while, so long as it doesn’t get out of hand. Tomorrow work will resume. Instead of reading comics, or at least in addition to that, I’ll work on some. Perhaps instead of taking a nap, I’ll clean the apartment some. My car is 90% dirt, so a wash wouldn’t hurt. I’ll do that stuff instead of sitting on the couch, feeling guilty about sitting on the couch. And instead of eating pizza for lunch… maybe I’ll get a burrito. Posted on September 1, 2011 by D.J.